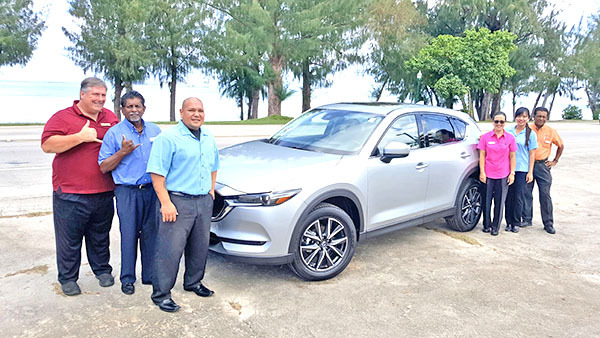 A 2018 Mazda CX-5 GT from Triple J Motors is being offered as a hole-in-one prize at the 17th Annual HANMI Charity Classic Golf Tournament that will be held this Saturday at the Laolay Bay Golf & Resort. 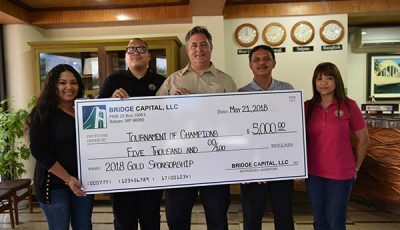 “Triple J Motors is excited to offer to the Hotel Association of the Northern Mariana Islands for use as a hole-in-one prize in their upcoming 17th Annual HANMI Charity Classic Golf Tournament, a top-of-the-line 2018 Mazda CX-5 Grand Touring,” said Triple J Motors general manager Randy Steele. “The first non-professional golfer to hit a hole-in-one on hole No. 11 will drive away in absolute style and comfort, as the all-wheel drive CX-5 GT is equipped with leather-trimmed seating, 19” aluminum alloy wheels, a power sliding glass moonroof, a 10-speaker Bose audio sound system, and a 7” full-color touchscreen display with back-up camera and infotainment system voice-command. High-tech, modern day safety features include the Mazda Smart City Brake system and Advanced Blind-Spot Monitoring with Rear Cross-Traffic Alert. 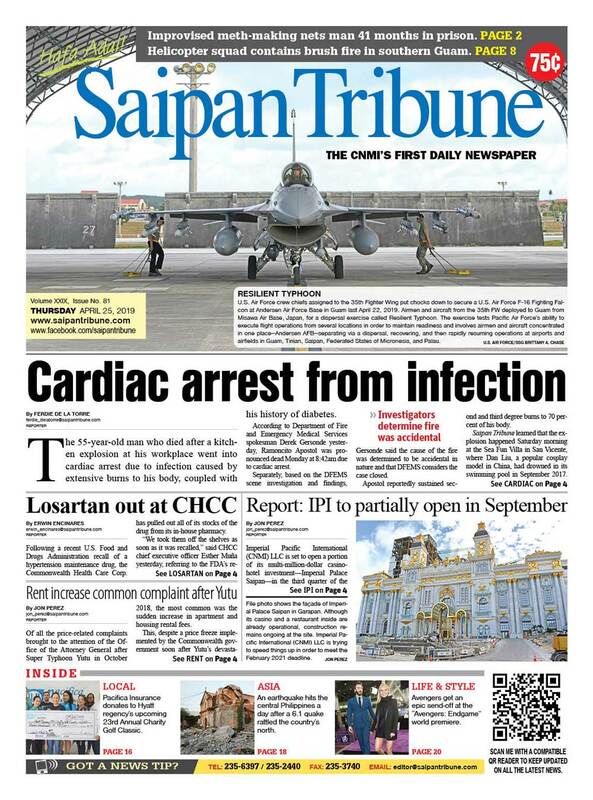 And right now, all Mazdas sold in the month of July come with $500 in Triple J Truckload Store shopping certificates. Good luck on hole No. 11 this weekend, golfers!” Steele added.